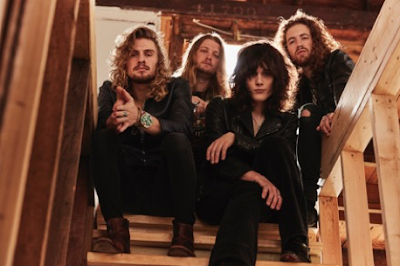 Nashville rockers Tyler Bryant & The Shakedown have premiered the video for their groove-laden track "Backfire." Directed by Erik Kaufmann, "Backfire" is the second single taken from the Shakedown's self-titled album, out now on Snakefarm Records. It follows the fiery single "Heartland." "'Backfire' is a straight-ahead rock 'n' roll jam, so we thought it needed a straight-ahead rock 'n' roll video," vocalist/guitarist Tyler Bryant said. "There's no acting, no storyline - just rocking! We hope this video captures the kind of energy you'd experience at a Shakedown show." The band hits the road in March. All dates are below and include support dates with Blackberry Smoke, headline shows and festival gigs. Tickets and VIP upgrades are available tylerbryantandtheshakedown.com. Tyler Bryant & The Shakedown's self-titled album is available via Snakefarm Records spinefarmrecords.lnk.to.